Blogging. It can be hard sometimes. It really, truly can. That's why I love posts that help me be a better blogger. Sometimes you're busy, and honestly don't have time. But other days, your feel stuck. Like you aren't moving forward in your blogging journey. I know this feeling, but I also know how you can get out of the rut you're in and start moving forward! If any of this sounds remotely familiar, read on, dear friend. Collabs. They are the answer to every life (or blogging) problem. 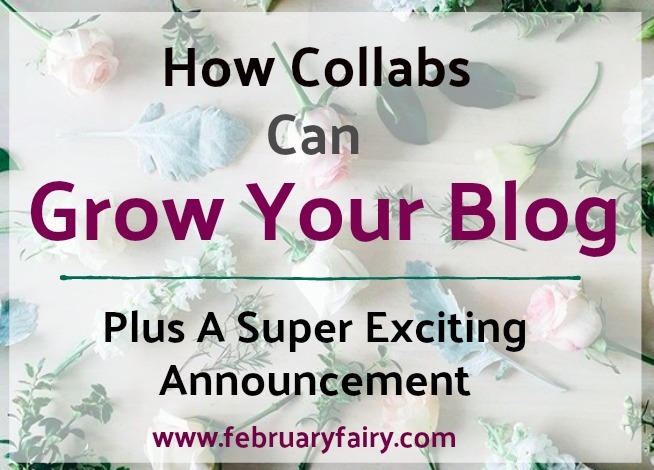 Whether you're teaming up with a company or a blogger gal, collabs can grown your audience tremendously. Everyone who reads their post, will most likely end up on your blog and if they end up on your blog there's a good chance they'll follow you. Then vice versa, as well. It's a win-win situation! They make you stay on schedule. Sometimes its tempting to hang out reading that awesome new book and neglect your blog (I know how it goes. I've been there. ), but you have to push through it sometimes and actually write the content your audience is waiting for! And that's why collabs are handy. They make you push through the urge to put blogging on the back burner, because you have a deadline. Someone is literally waiting on you! You get to make incredible new friends. I don't know about you, but sometimes I can be a bit awkward when first meeting someone new. When you're meeting over email, there is no such problem! 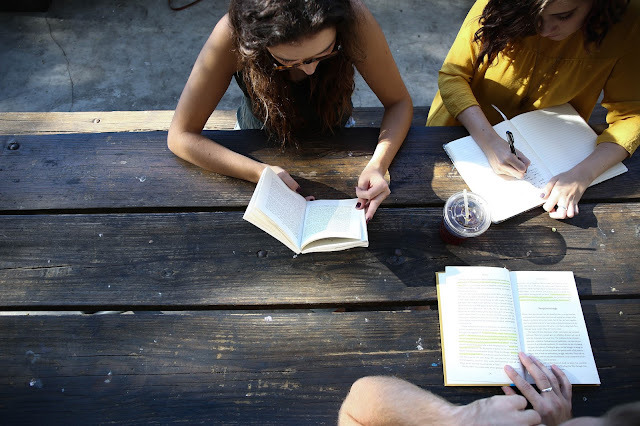 You have time to think about what you're going to say, and don't have to worry they'll judge you for ranting about books or how you want to meet them in person. You get to build each other up. And isn't that what blogging is really about? Helping each other reach our goals and being an encouraging community? I remember when I first started blogging. I felt like I was on the outside of a clique and I couldn't figure out how to be included. I would commenting on the posts, follow people, try to be consistent about posting, but nothing seemed to make a difference. Mind you, none of these girls were unkind. They replied to my comments, but I never felt like I was really, in. When I started February Fairy and moved from my former blog, I emailed a bunch of the bloggers I'd always looked up to asking if they would help me with a blog tour. Much to my surprise (and delight) a great deal of them said they would LOVE to help me out. After then, I felt in. My blog was actually growing, instead of staying at the exact same pace, and I knew why. I had to get my blog out there are start making friends. Of course, not every single one got my blog new follows/comments, but I always noticed an increase in my page views. And like I said before, you get to make new friends! What's better than that? Now, if you skimmed (or even skipped) the whole post just so you could read about the surprise, that's a-okay. I do the exact same thing sometimes. I have decided to do a whole month devoted to collaborations! *all the confetti and celebrating*n At first I was going to do a Valentine's day card exchange (like Vanessa's), but I realized a great deal of us aren't comfortable sharing our address. So I started brainstorming other ways to go about it. After a while my mind landed on the thought of a month of collabs. But now I need YOU! Yes, you. Sitting in your pajamas, reading this post. I want to collab with as many bloggers as I possibly can. But I only have 5 spots open! I am only human, after all (is that from a song?). If you are a fashion, book, lifestyle, journal, art, or pretty much any other type of blogger, EMAIL ME! My email is februaryfairyblog[@]gmail[dot]com. Use A Month of Collabs as the subject and send me a message with your collab ideas! I can't wait to make February our best month of blogging! Cheers to you! Have you ever done a collab before? Isn't it wonderful to make new blogger friends? 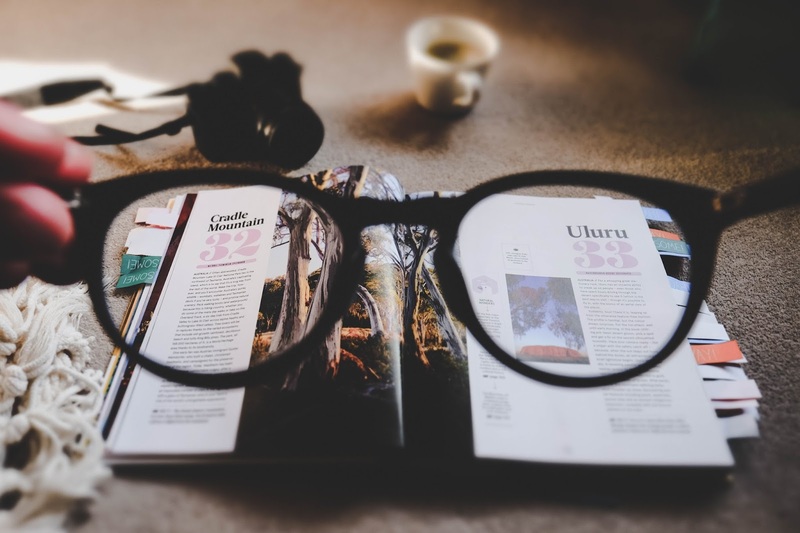 Do you skim blog posts, or read every word? I'm a skimmer, at least half the time. #no-shame Do you ever have trouble staying on top of your posting schedule? Have you ever felt out of the clique? ARE YOU GOING TO COLLABORATE WITH ME? Actually, this is exactly why I branched our to you in the first place— I wanted to do collabs every month just to get to know bloggers better. I’m so excited for our collab in Feburary!!! A whole month of collabs?! That's so awesome! I can't wait to see what everyone comes up with! Ahaha, yes! I know it's a lot, but I'm so excited to start working with all of the bloggers! GIRL THIS POST IS JUST EPIC! Seriously, collabs with other bloggers is fun, it gives you a break, and yessss! You can make friends that way!! I love blogging friends so much. When I’m really short on time, I do skim so I can try to read all the different blogs I follow. Staying on top of a schedule? *hides* It’s SO HARD. Although, I made sure I had plenty of ideas before starting my new blog! I AM SO EXCITED TO SEE ALL OF THE COLLABS, ELLA!!! It’s gonna be awesome! OH MY GOSH, THANK YOU, GIRL! Aren't they? Haha, me too! Ugh, I know! My blog schedule is always wacked out. Thank you, Riley! Also, did you get my email? Mine too! Definitely. Thanks for reading, Nabila! Thank you, girl! Ahaha, a true magician never reveals their secrets. Oh my goodness, I love this idea so so much!! And I'd absolutely love to be apart of it, if I can come up with an idea soon. I'll let you know. It really depends. 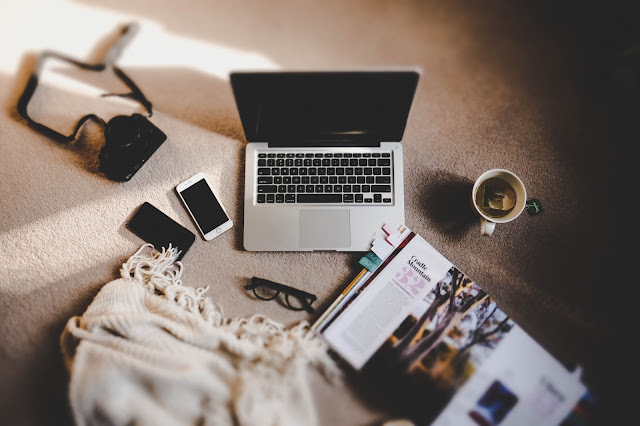 I know how hard bloggers work on their content, and if I'm not taking the time to read it, I feel like I'm cheating in a way. The least I can do is give my full attention to what they're saying, ya know? That said, sometimes I do skim posts, especially if I'm in a hurry. Another great post, Ella! Can't wait to see all the awesome collabs you do. Thank you, Keira! Yay! I'd love to collab with you. <3 Mmm. I totally feel you there. Thank you for the sweet comment, dear! Collabs are the best way to get involved with the blogging community and I love it! It makes you feel like you're more connected and you're working on something together! It's great! Having a month of collabs sounds like a cool idea and I can't wait to read all the great posts! Isn't it? I always love getting to know other bloggers. Thank you! I'm excited, too! Thanks you, Vanessa! Haha, I guess I mistook your for someone else. ;P Sure thing, girl. Collabs are great! I'm looking forward to doing some in the next month after my hiatus! I'd love to collab with you. Oh my goodness, that's so sweet, Rebecca. I love yours too! Aww, that can be nerve wracking! I'm am SO glad this post helped you out. <3 I can't wait to hear from you! I do admit, I skimmed to the surprise, but in my defense I went back and read the rest. ;) A month of collabs is a great idea! I feel "out of the clique" often, online and irl. I just shot you an email with a few ideas, if you're still open for collabs. Ahahaha! I would have done the same thing. XD Thank you! Aww, I'm sorry about that. Yay! I can't wait to read it! Eep, thank you, Lily! To be honest, I've never hear of it before, either. XD Yay!